I'll never forget my first few days on campus here at OCC. I was 19 years old, a last-minute transfer student from the University of Iowa, and I knew almost nobody. I had just come out of a “prodigal son” season in my life, when I’d been running from God. Now here I was meeting my new neighbors on Williamson 3rd, buying commentaries for some Old Testament history class, getting skunked on the Bible Knowledge Exam, and wondering what in the world I had just signed up for. Twenty-five years later, I can tell you what I’d signed up for: a changed life. God used this place to transform me. Will you start that same journey? God will use your classes here to change you. You will dig deeply into God’s Word. You’ll undergird your faith with historical and philosophical evidences for your beliefs. You’ll understand people and creation and language and art and culture from a scriptural worldview. You will stretch mental muscles you didn’t know you had, and you’ll discover how to keep learning long after you’ve left the halls of OCC. God will use your relationships here to change you. You’ll make friends with someone different from you—from New York City or China, big city or small town, long-time believer or brand-new Christian, recent high school graduate or returning soccer mom. It’s a fun community, and you’ll make great memories on crazy dorm adventures or late-night Taco Bell runs. But more importantly, it’s a spiritual community. We’re not perfect, but this campus is filled with people who love Jesus and who will challenge you to love him more deeply. God will use your service opportunities here to change you. If what you’re learning at Ozark only makes it into your class notes and not into your life, you’re missing the point. We’re here to prepare you for Christian service. “Impression without expression leads to depression,” and the only way to stay spiritually healthy is to serve—to put your education into practice. God has something specific he wants to do in you while you’re at Ozark. So get ready for a changed life. The vision of Ozark Christian College is to glorify God by evangelizing the lost and edifying Christians worldwide. 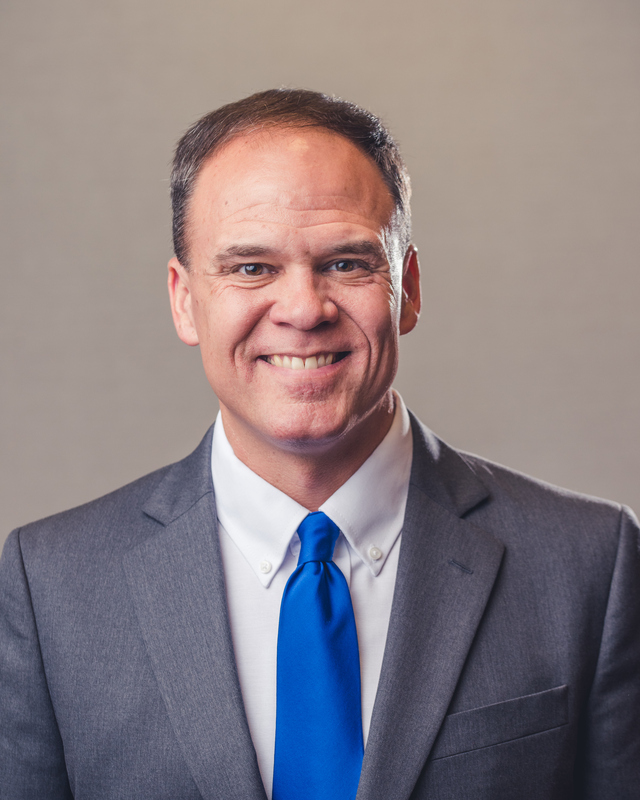 The mission of Ozark Christian College is to train men and women for Christian service as a degree-granting institution of biblical higher education. Emphasis is given to vocational preparation for preaching ministers, missionaries, worship ministers, youth ministers and children's ministers. Biblical and practical training is also provided for those who will serve in the church in non-vocational roles such as elders, deacons, Bible school teachers and youth sponsors. Ozark Christian College seeks to glorify God by doing his will. God's truth we must "entrust to faithful men, who will be able to teach others also" (2 Timothy 2:2). We are involved in declaring the wisdom of God (Ephesians 3:7-12). We share in the work of equipping "the saints for the work of service, to the building up of the body of Christ; until we all attain to the unity of the faith, and of the knowledge of the Son of God, to a mature man, to the measure of the stature which belongs to the fullness of Christ...speaking the truth in love, we are to grow up in all aspects into him, who is the head, even Christ" (Ephesians 4:12,13,15). We accomplish this purpose of God stated by Paul: "God willed to make known what are the riches of the glory of this mystery among the Gentiles, which is Christ in you, the hope of glory. And we proclaim him, admonishing every man and teaching every man with all wisdom, that we may present every man complete in Christ. And for this purpose also I labor, striving according to his power, which mightily works within me" (Colossians 1:27-29). "The goal of our instruction is love from a pure heart and a good conscience and a sincere faith" (I Timothy 1:5). We are a biblical community, grounding our curriculum and life in God’s Word. We are a serving community, looking to others’ interests, not our own. We are an honest community, practicing maturity through careful truth-telling. We are a dependent community, leaning not on our own strength, but on God’s. We are a gracious community, maintaining unity in mutual acceptance and trust. We are a witnessing community, partnering with the Church in the Great Commission. We are a worshiping community, pursuing God and the praise of his glory. OCC provides qualified, innovative, and biblically faithful instruction to prepare our students to serve Christ and his Church. OCC offers quality co-curricular and extra-curricular programs to grow students in Christian maturity and equip students for Christian ministry. OCC cultivates a life-changing community marked by personal holiness, joyful diversity, gracious honesty, and loving service. 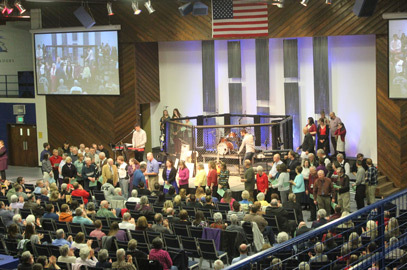 OCC offers Christ-centered events, materials, and personnel to encourage and equip our constituents. OCC manages physical, financial, and human resources to honor Christ and advance the mission of the college. 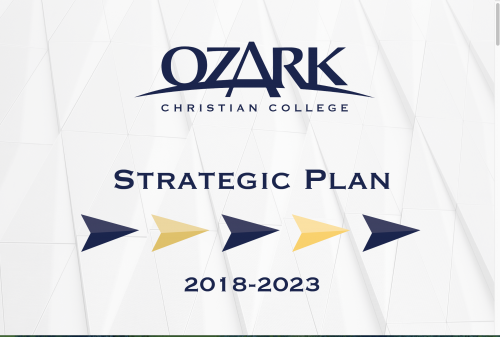 Located on a spacious 60-acre campus in the city of Joplin in southwest Missouri, Ozark Christian College is not far from Kansas City, Fayetteville, Branson and Tulsa. 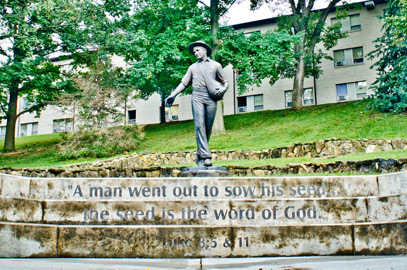 Founded as Ozark Bible College in 1942, Ozark began with only 16 students. Today, over 15,000 students and over 75 years later, Ozark's mission remains the same: we train men and women for Christian service. In fact, over 90% of our graduates enter vocational or volunteer ministry. OCC's high academic caliber is thanks to exceptional, field-tested professors. Online Learning students, too, receive the same outstanding Bible and ministry training while they serve off campus. 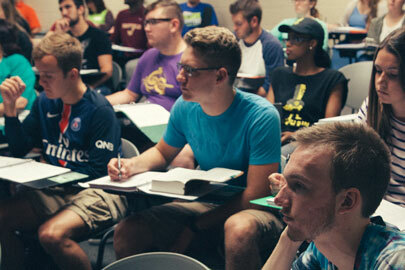 With over 50 required hours of Bible classes, Ozark students are grounded in the knowledge and practice of Scripture. Ozark athletics holds several national and regional championships among our five varsity sports teams. Intramural sports, too, let all students compete and have fun. Ozark's arts programs offer opportunities for music, drama and more, and our close proximity to more than a dozen parachurch organizations like Christ In Youth, Good News Productions International, and Rapha House gives students a chance to learn from even more kingdom leaders. Ozark's affordability is a real advantage for students. Generous donors and competitive scholarships and grants help keep student costs low. 95% of OCC students receive scholarships and financial aid. Since 1942, our mission has remained the same: we train men and women for Christian service. Many people want to serve God and make a difference with their lives, but they aren't sure where to start. 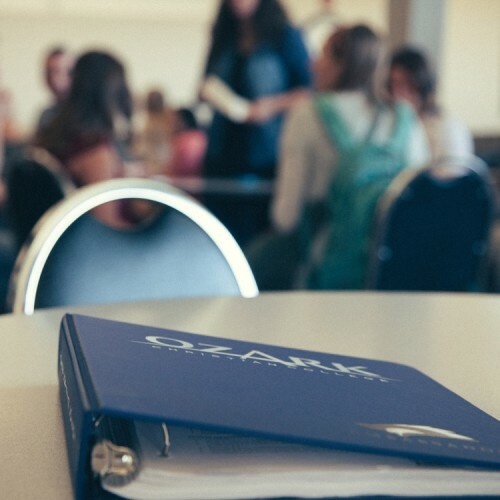 At Ozark Christian College, we help students discover the kingdom assignment that God has for them, and we help prepare them for whatever that is. Your mission is out there. Training starts here.